Have you been looking for an amazing, yet fun opportunity to get involved with the community? Look no further! 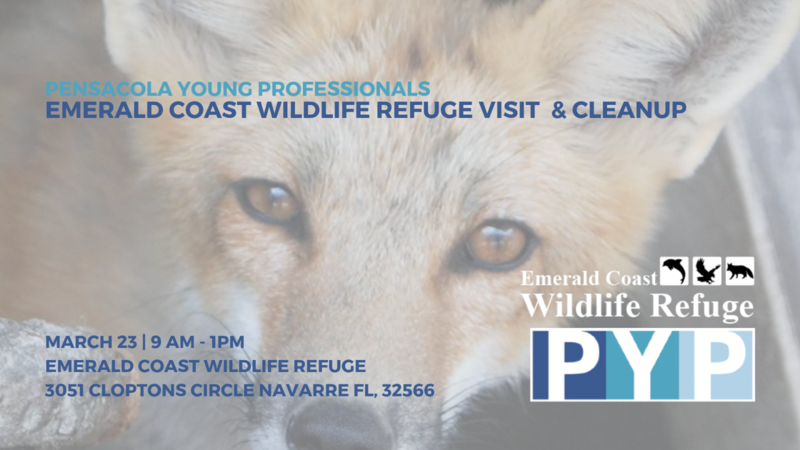 Join PYP on March 23 in Navarre, FL at the Emerald Coast Wildlife Refuge to assist with a fun-filled service project. Plus, volunteers will get the opportunity to tour the refuge and learn Wildlife 101. PYP is throwing in an extra bonus by providing lunch for volunteers as well! Volunteers need to wear long pants, long sleeve shirt & closed toe shoes for safety purposes. If you would like to bring items or provide monetary donations, you can visit http://emeraldcoastwildliferefuge.org/emerald-coast-wildlife-refuge/donate/ to donate securely, as well as see a wish of items the refuge is in need of.